What is the Garden Theatre? 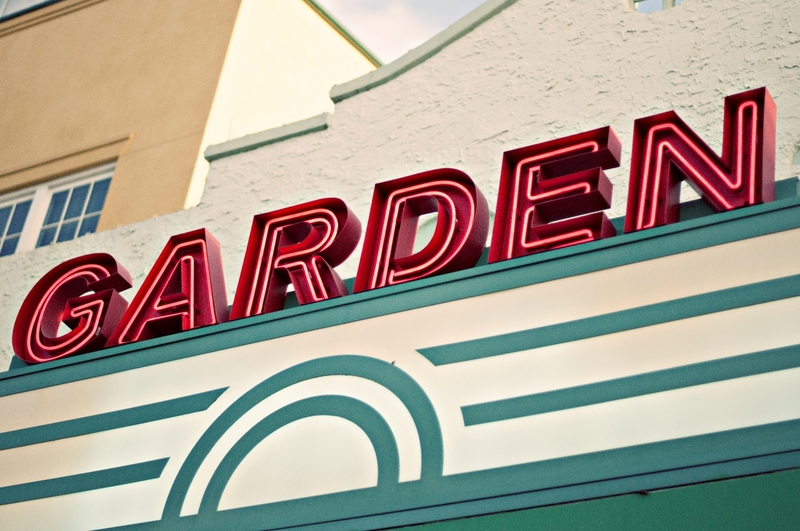 Located in the heart of historic downtown Winter Garden on Plant Street, the Garden Theatre is a nonprofit organization committed to enriching, engaging, and entertaining through creative experiences. The theatre, which reopened 2008, showcases an atmospheric theatre in a Mediterranean Revival-style venue. The Garden Theatre hosts live plays, concerts, movies, and more to the residents of and visitors to the city of Winter Garden. Our address is 160 W Plant St, Winter Garden, FL 34787. How do I find out what’s currently playing or coming soon? This website is the best place for up-to-date information on upcoming events. If an event is taking place at the Garden Theatre but is not listed on the site, it either means that it is not open to the public or is being ticketed by another organization renting the theatre. You can also find plenty of updates on our Facebook page. We recommend getting your tickets as soon as you’ve made the decision to attend an event. The Garden Theatre is an intimate venue with 295 seats, and some performances fill up quickly. If tickets are available the night of the show, they are sold on a first-come, first-served basis and seating may be limited. If you plan on attending at least seven events during our season, we recommend that you consider a subscription, and our helpful Box Office staff can assist you with selecting your seats. What’s the difference between reserved seating and general admission? Our events will either have “reserved seating”, meaning that certain seats have been set aside specifically for you, or “general admission”, where you are not assigned to a specific seat. Typically, our live season and select events have reserved seating. Be sure to note if an event has reserved seating when purchasing tickets. If an event has general admission, you may want to arrive early enough to ensure you find the seats best suited to you. What are my options for parking? A free public parking garage located directly behind the Garden Theatre is available for use. The garage is located at 160 S Boyd St. with entrances on S. Lakeview Ave. and S. Boyd St. There is also limited street parking (including several handicap accessible spaces) available on Plant St. and surrounding side streets. Who qualifies for the student rate? The student rate applies to elementary school students all the way up to college students. I’m bringing a little one. Do they need their own ticket? Children ages two and under who will sit in a lap and do not require their own seat will not need a ticket for admission. Children ages three and up require their own seat, and your child will need a ticket. Who qualifies for the senior ticket rate? Persons aged 60 years and older. You may purchase tickets online (using this website), by calling the Box Office or by visiting the Box Office during its operating hours. Is there a ticket fee? The 2018-2019 Season is another year of incredible growth for your Garden Theatre. A per-ticket fee will apply to online, phone and same-day in-person ticket purchases which will go toward the historic preservation and operation of our growing nonprofit. You may purchase tickets in-person at the Box Office prior to the day of the event to avoid the ticket fee. Subscribers receive the very best benefits and discounts, including no fees on any ticket purchased through the subscription. Visit gardentheatre.org/subscribe for more information. While we do not offer refunds, we gladly offer an exchange of your tickets for a $5 fee per order (even if one order includes multiple tickets). The exchange must occur prior to the performance for which you are currently ticketed. The Garden Theatre will not offer compensation for performances missed due to a patron’s no-show by curtain time. If you are unable to make a performance, please call the Box Office at 407-877-4736 x0, or email us at boxoffice@gardentheatre.org. Once you’ve made a ticket purchase, you may bring your smartphone or printed email ticket with you and present it to the ticket taker for seating. Tickets cannot be mailed. The Box Office is open Tuesdays through Saturdays 12-4pm, and always two hours prior to show time. “Will Call” is the term for the location within a venue where tickets that have been ordered and paid for in advance can be picked up by patrons. Will Call is located in the Box Office. What is Garden Theatre’s wait list policy? The Garden Theatre does not offer a wait list. If a show is sold out, we cannot guarantee seats to patrons wanting to purchase tickets. We encourage you to purchase tickets as early as possible to ensure your seats. Are there discounts available for large groups? Yes. For groups of 10 or more, contact Group Sales at 407.877.4736 x208 or groupsales@gardentheatre.org. We encourage you to wear whatever you feel comfortable in. Jeans and tennis shoes are perfectly acceptable, although some patrons prefer to dress more formally. When in doubt, business casual is always appropriate. When do doors open for seating? Theatre doors will open for seating 30 minutes prior to the show. Can I bring in outside food and drink? Do you offer concessions? As a non-profit organization, we kindly ask for no outside food or drink. We are able to keep our ticket prices low by offsetting our costs with concession sales. Please enjoy our selection of reasonably priced snacks and beverages available in the lobby. Please note that the Garden Theatre is a smoke-free environment (including e-cigs, vapor, etc). What is your latecomer seating policy? Seating begins 30 minutes prior to curtain. For the safety of our performers and the benefit of fellow patrons, late seating is at the discretion of the House Manager and you may not be seated in your original seats. You will be admitted at intermission if there is not appropriate time prior to intermission. Plan to be comfortably in your seat prior to the beginning of the show; this will make your experience and the experience of those around you more enjoyable. My question isn’t answered here. What do I do? 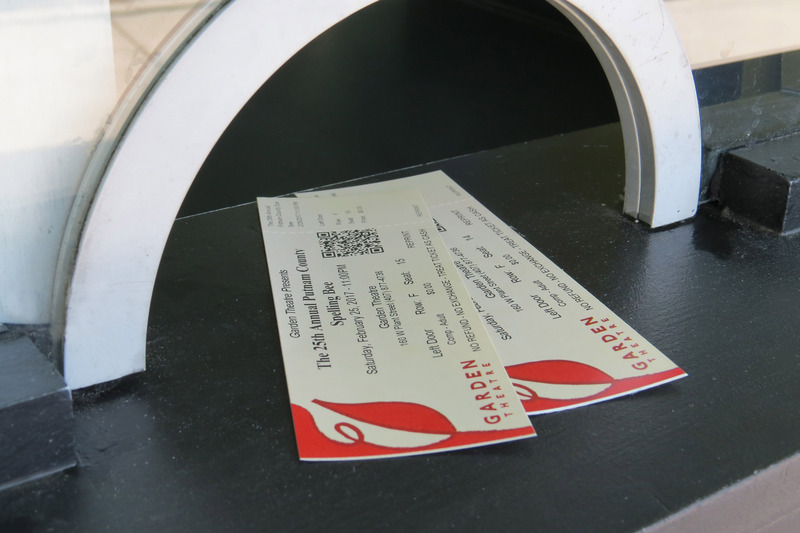 Shoot an email to boxoffice@gardentheatre.org and we’ll have an answer for you! 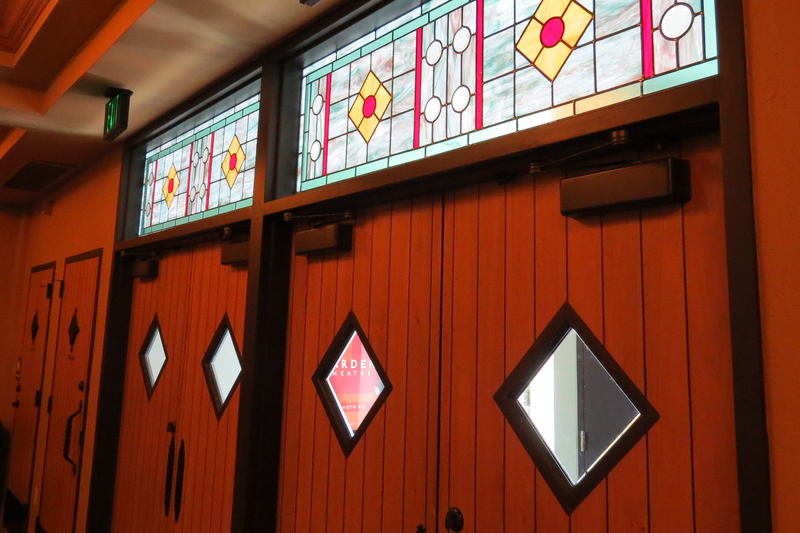 Garden Theatre provides a seamless experience for any patron living with a disability with ramps, removable seats, lighted aisles, accessible restrooms and elevators. 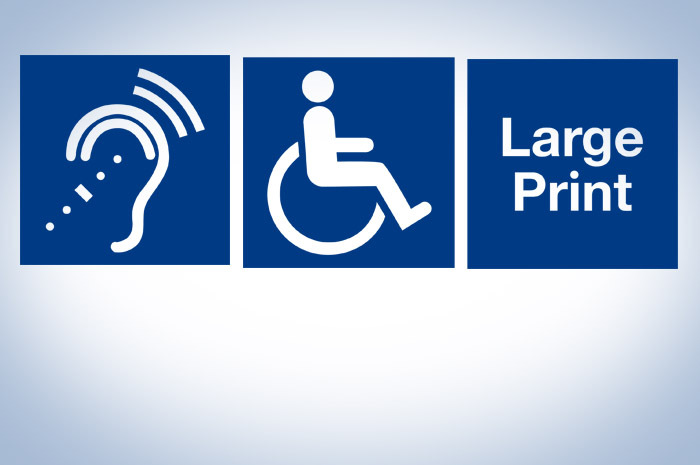 Assisted listening devices and large print playbills are available for the hearing or vision impaired. Please contact the House Manager for assistance.